You are sitting on a lead goldmine! Beast your website’s sales potential and turn those strangers into buyers. Dive in. Lead generation is a set of actions to capture prospects’ contact details and nurture them via lead generation process. The process requires lead generation software like pop-ups, contact forms or live chat for collecting business leads and email marketing tools for nurturing. WHAT ARE THESE LEAD GENERATION TOOLS? 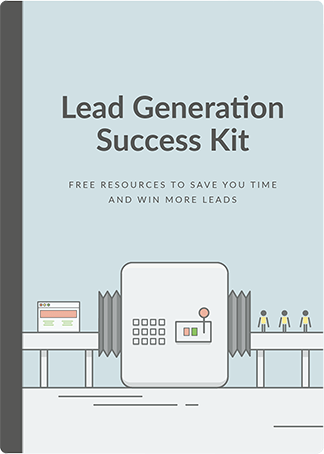 We’ve prepared a bunch of free tools to help with your lead generation — lead generation calculator, outbound sales email templates, 10-point lead generation checklist, lead generation workflows and coupon deals for top lead generation companies. HOW DO YOU GET MY LEAD GENERATION POTENTIAL? We get the score by multiplying your website traffic by conversion rate to chat. The conversion rates represent real data from 26,000+ LiveChat users. The lead generation potential is estimated and cannot be guaranteed. Lead generation marketing is a marketing approach focused on generating business leads. It uses gated content technique to get users email addresses in exchange for value (offline version of posts, checklists or ready-to-use templates). HOW TO GET MORE BUSINESS LEADS? Contact form on your contact page is not enough. Make sure you use some lead generation software like pop-ups or live chat. Next, personalize your lead generation processes by adding context – for example, offer relevant, high quality content extension in exchange for an email. WHY LIVE CHAT IS BEST LEAD GENERATION SOFTWARE? Live chat window placed on your website helps you reach and engage your online visitors. With a pre-chat survey that collects all the information you need, you get a powerful lead generation tool that’s more effective and personal, than any pop-up.